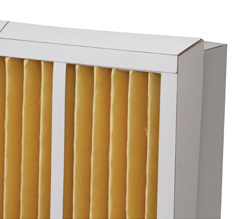 Air-Nu believes it can offer some of the best air filter prices due to its low overhead. 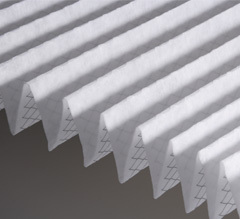 However, it will always maintain a constant supply of fiber, pleated and HEPA filters for all its regular customers. Even residential owners can save at Air-Nu by simply purchasing one case of 12 rather than purchasing single filters at local stores with their higher costs. Hospitals and other commercial business can similarly find greater savings at Air-Nu, including energy-saving solutions for all their HVAC needs. Aside from serving the residential and commercial markets, Air-Nu also provides high quality industrial filters to companies like Exxon and Chevron plants at very competitive prices. As a value-added supplier, Air-Nu would like to be your company of choice for water filters, paint boot filters, gas turbine filters and dust cartridges and other industrial HVAC replacement air filters. Hood filters for stoves are likewise available to restaurants and homeowners. If there is a particular industrial, commercial or residential filter you are looking for, call Air-Nu first for customized ordering or any special inventory needs. Air-Nu is committed to offering impeccable service while maintaining its usual high business standards customers and suppliers have come to appreciate over the years.